What are the Korea’s best restaurants of the year? KOREAT is the restaurant ranking list selectively chosen by the food industry experts of Korea, and at the same time it is the festival to experience the best Korean gourmet. The name KOREAT is a compound word of ‘KOREA’ and ‘EAT’ which convey the meaning of ‘to let the Korean diners as well as the world know, eat, and share Korean food culture’. KOREAT is organized to provide trustworthy and precise dining information to foreigners visiting Korea and to determine the presence of food culture that the people consume. The food category includes traditional Korean cuisine as well as Modern Korean, French, Italian, Japanese, Chinese, and other diverse cuisines that are present in Korea. 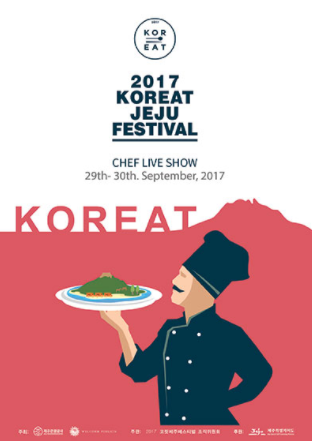 With a beautiful scene of Jeju, we have prepared a variety of programs for customers to enjoy.Visitors will be able to taste outstanding foods from the TOP restaurants chosen by KOREAT and enjoy unique experience of cooking show hosted by popular chefs in Korea. 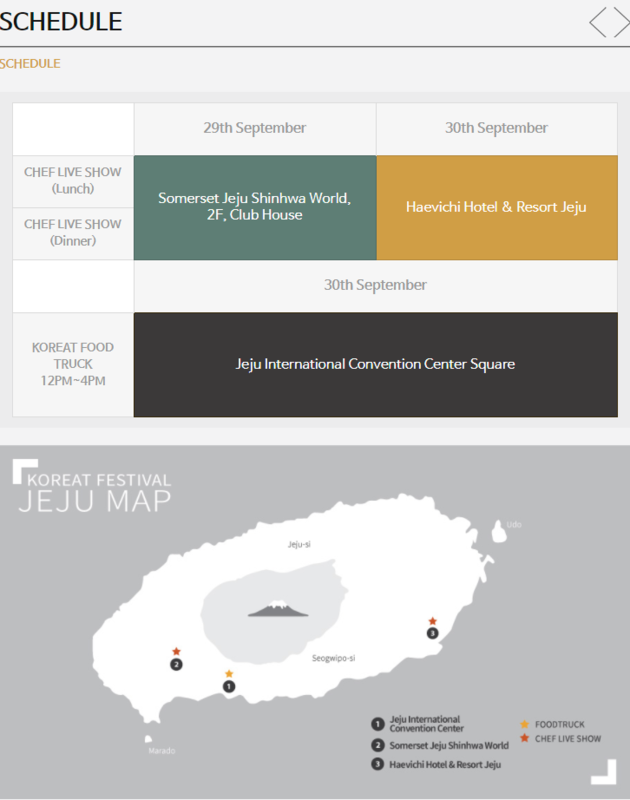 -The TOP KOREAT restaurants of the year are coming to the streets of Jeju. 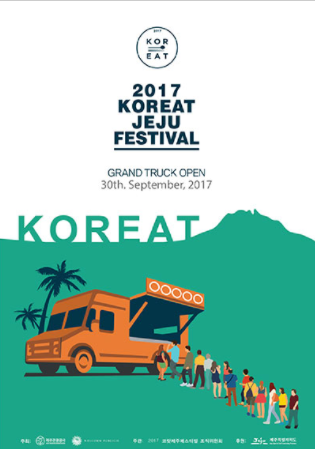 The KOREAT Food truck will visit a famous tourist site in Jeju for all the Jeju residents and tourists to taste the leading Korean gourmet cuisines. Please come and enjoy the TOP KOREAT restaurants reinvented as a tapas dish along with the beautiful scenery of Jeju. The secret recipes hidden in the kitchens will arise to the stage. 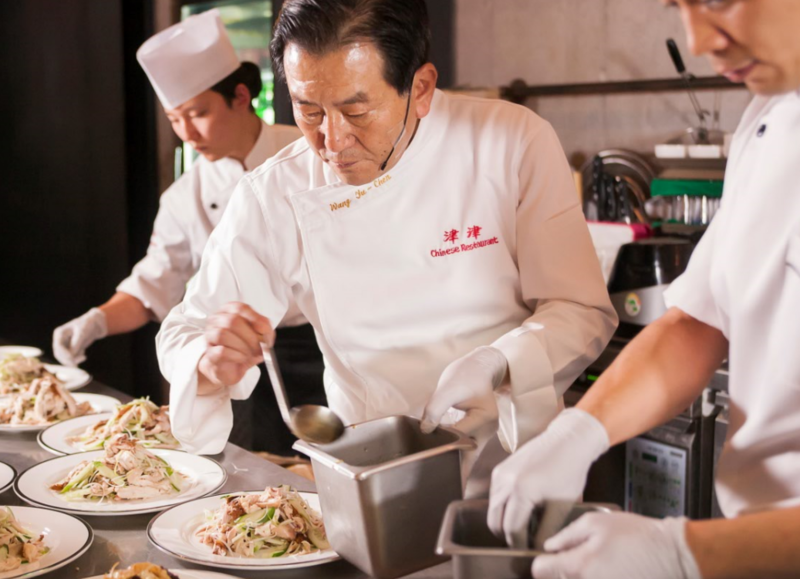 Korean TOP chefs cook their signature cuisine, streaming live from open stage. 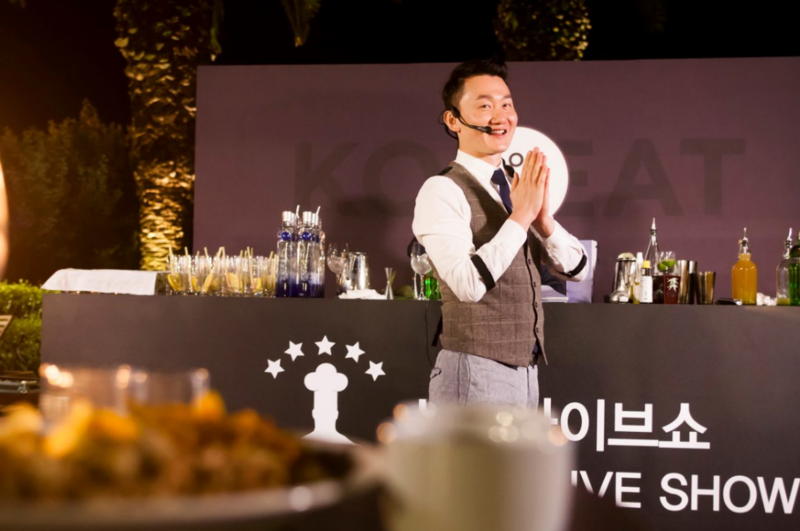 Please enjoy the live show of Korean TOP chefs and bartenders, collaboration with French Le Cochon and Italian Ristorante EO, with bartender Son’s cocktail performance. -Served with their cuisine and cocktail.